Call Today to Schedule an Appointment, Same Day Service Available! Clear Lake Auto Glass is a family-owned business, providing auto glass repair and replacement services to customers throughout Webster, TX since 1998. We handle auto glass jobs of all types, including tinting and power window repairs. We can even assist you with your insurance claim. Come to us for best-in-class service! Driving around with a chip in your mirror or a crack in your windshield can be annoying and potentially dangerous. It might seem easy to ignore these auto glass blemishes, but with Clear Lake Auto Glass on your side, fixing them is even simpler! We’re your number one source for any and all forms of glass repair—everything from minor chip fixes to complete windshield replacement in Webster, TX. Our shop welcomes vehicles of all makes, models and years, with an experienced staff that is quick to identify and repair auto glass damages. And, if your damage is too severe to drive with, we’ll even come to you thanks to our mobile repair service! Windshield repair in Webster, TX isn’t all we do, either. 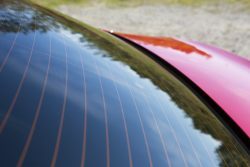 If you’re looking for someone to tint your windows to the perfect degree, our shop is your first destination. We’re experts when it comes to window tint and can work with you to make sure your tint job is perfect, whether you’re going for privacy or glare reduction. We also provide repair services for power windows. If your window is stuck up or down, or doesn’t function at all, we’ll gladly take a look and provide repairs. There’s not much we can’t do when it comes to your vehicle’s windows—give us a call today and see for yourself! We’ve proudly served motorists throughout the Webster, TX area since 1998. Our auto glass experience extends to vehicles of all sizes, makes and models, including 18-wheel trucks! We’re proud to provide military and senior discounts to our customers. All repairs are done in-shop, on-site by our staff, ensuring we’re the only people handling your vehicle. We work with insurance claims (pay only 50% of deductible). We now offer spray on bed liners for trucks! Call for details. From glass repair, to tinting, to power window repairs, we do everything when it comes to auto glass. Consult with our professionals today and get an estimate on restorative services.